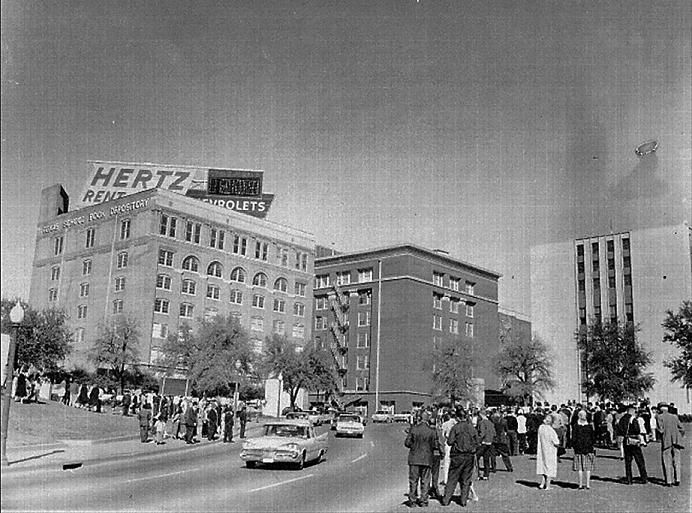 Can you help support a new 5-part video series on the JFK assassination? In cases such as the assassination of President Kennedy we have tried to break the deadlock of history through our published works, our conferences and focusing what little media attention the event gets on the realities of the coup that happened on November 22nd 1963. Unlike in the case of Martin Luther King's assassination, we have had no legal resolution, even if it is symbolic, to the events in Dallas. Myself and the Coalition on Political Assassinations have a proposal that we feel can both use our own media to further public understanding and also to create some support for full disclosure under the JFK records act, the establishment of a Dallas grand jury or some other legal remedy. Final COPA viddy - John Hankey, creator of "JFK II - The Bush Connection"
The final video I am uploading is of the talk by John Hankey, researcher, writer and teacher, creator of the films "JFK II - The Bush Connection" and "The Assassination of JFK Jr. - Murder by Manchurian Candidate". Not really 9/11 related, but really interesting, nonetheless! His talk focuses on his research surrounding "The Assassination of JFK Jr.". The video quality is a bit dodgy, but watchable. Unfortunately, the audio drops a bit at the 41:00 mark, so you'll have to bump it up a notch. Peter Dale Scott gave an excellent talk yesterday at the COPA (Coalition on Political Assassinations) Regional Meeting in Dallas, Texas. Scott points out similarities that he has encountered as a researcher studying JFK and 9/11, and covers a wide assortment of anomalies and evidence in this one hour presentation. Scott talks about Continuity of Government, the a priori existence of "lone nut" profiles to offer cover for covert operations, and how drug trafficking lurks in the background all the while - how "Al Qaeda" is linked to this drug traffic, how it was dismissed by the 9/11 Commission, and the relevance of the case of Sibel Edmonds as well as that of Indira Singh. I'm attending this year's COPA (Coalition on Political Assassinations) meeting in Dallas, TX, and will be video blogging the event. Last night we were supposed to have a keynote from Cynthia McKinney, but she had to cancel at the last minute. Below is footage of opening statements by Peter Dale Scott, John Judge, RFK archivist Pat Sikora and Summer Reese, who is acting as Sirhan Sirhan's current legal representative. The footage features a short tribute to McKinney and Phillip Melanson by Scott, a long tribute to Melanson by John Judge, an award received by Pat Sikora on behalf of the Melanson family and news about Sirhan Sirhan's current status. Scott talked briefly about 9/11, and will give a detailed talk on 9/11 and JFK today that I will hopefully upload tonight.